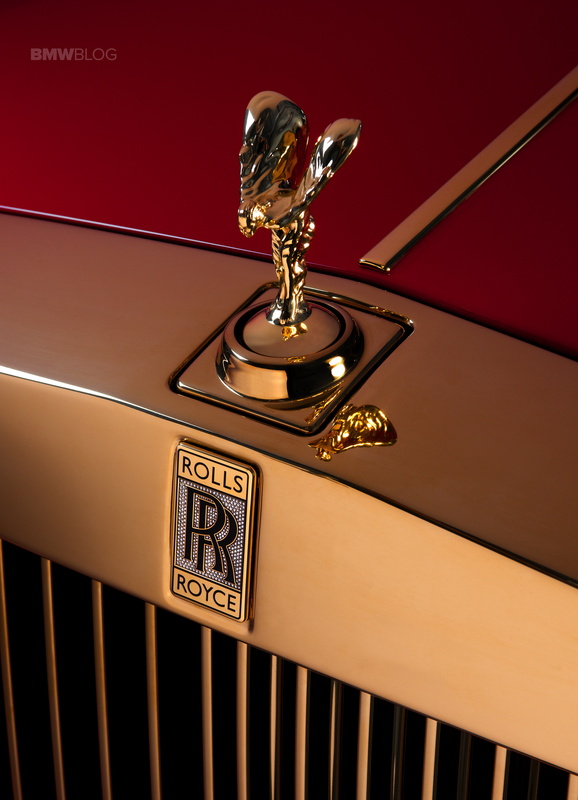 Two exceptional motor cars will join the collection at the most anticipated hotel, “The 13.” Reserved for the hotel’s most important guests, the two highly Bespoke gold infused creations will become the flagships of the 30 strong collection of Rolls-Royce Phantoms, commissioned by luxury entrepreneur Stephen Hung, Joint Chairman of The 13 HOLDINGS LIMITED, to reflect his bold vision, as expressed in the design scheme of his refined and remarkable hotel. The exterior finish enhanced with the finest particles of 23.75 carat gold, a weight chosen for even disbursement, achieving a perfectly executed finish. The result is the most expensive and meticulously engineered paint the marque has ever produced. 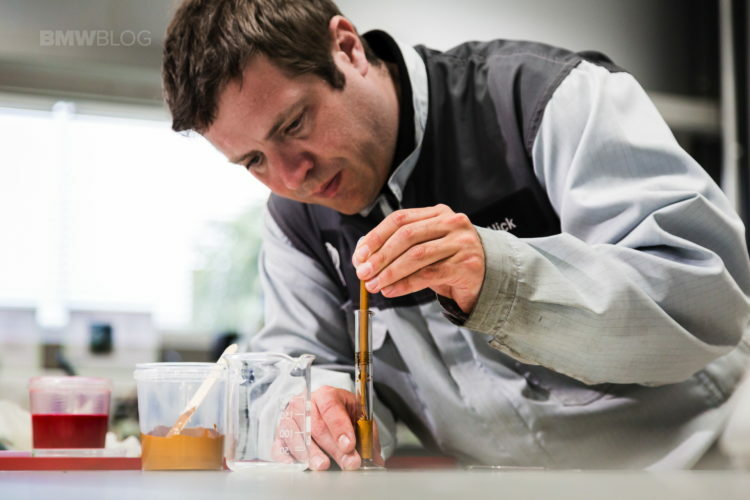 The Surface Finish Centre at the Rolls-Royce Global Centre of Excellence in Goodwood installed new and specialist equipment to ensure no contamination could occur during the painting of the two motor cars. The finish uses 250% more paint than other Phantoms, resulting in an impressive 10 layers, one of which consists of a 40 micron deep layer of Gold, combined with glass and aluminum to provide an alluring shimmer. 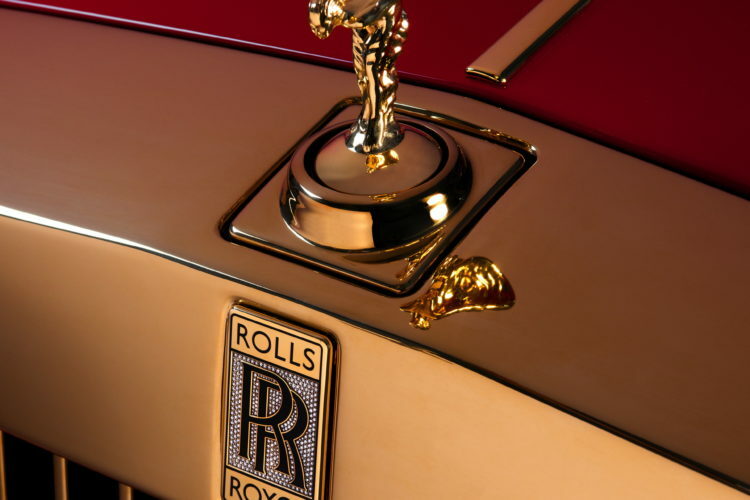 Within the coach doors, renowned Rolls-Royce umbrellas, on hand to protect occupants from undesirable weather or awaiting paparazzi, are also personalized by incorporating a gold handle and a golden trim to match the colour themes of the hotel. Gold tread plates engraved with ‘PHANTOM Specially Commissioned by Stephen Hung’ remind occupants of the distinctive origins of these remarkable motor cars.